Indian Head Massage is a popular treatment based on Ayurvedic techniques involving work on the upper back, shoulders, neck, scalp and face. A variety of massage movements based on the patient's condition are used. It can ease tension headaches, anxiety and stress, neck/shoulder stiffness, tinnitis and other ear problems, sinusitis, mental tiredness, insomnia, hair loss/thinning and eye strain. 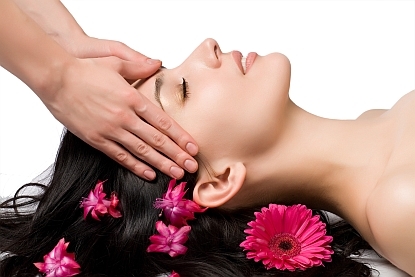 For further details about Indian Head Massage Contact Us.